Next to G.I. 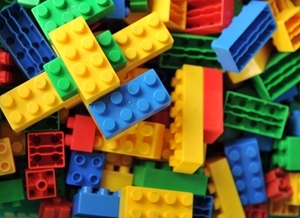 Joes and Barbie dolls, LEGOs were probably one of the most popular toys you played with growing up. The building blocks allowed you to create your own worlds where anything was possible. You might recall early weekend mornings, watching your dad fix the kitchen sink while you constructed cars and buildings out of those colorful bricks. Looking back, it may cause you to ask: How did no one make a movie about these? Years later, your question is finally answered. Warner Brothers released the wildly successful "The LEGO Movie" this month to widespread praise from critics around the globe. Directed by Phil Lord and Christopher Miller, the team behind "Cloudy With a Chance of Meatballs," the film boasts many stars, including Chris Pratt, Will Ferrell, Morgan Freeman and Elizabeth Banks. What they've put together is a movie that a father and his children will love equally. It's an action-packed but family-friendly movie adventure that's fun for all ages. The voice cast, full of A-listers, acts as some of the most popular characters ever assembled, such as Batman, Superman and Wonder Woman. There's no foul language in the film beyond a few "hecks" and "darns," but there are a few thrilling scenes where characters are in peril. Even though they're toys, there are still some violent scenes where security guards shoot guns and one character even gets "beheaded." Despite the few scenes of violence and fright that are sprinkled throughout the film, this is arguably one of the most fun movies to be released in a long time. Its numerous pop culture references make the content relatable to viewers of any age. As a father, it'll make you feel nostalgic about your early days as a young boy, playing with LEGOs in your basement. Be prepared – your kids may beg you for new LEGO sets after you walk out of the theater! As a whole, "The LEGO Movie" is packed with laughs and thrills rolled tightly into a creative and original film. Among a sea of Hollywood remakes and overly sexualized movies, it's a breath of fresh air for dads looking to take their kids to the movies. It can also bring you closer together, as you'll want to go out and stock up on LEGO kits before the closing credits even roll.